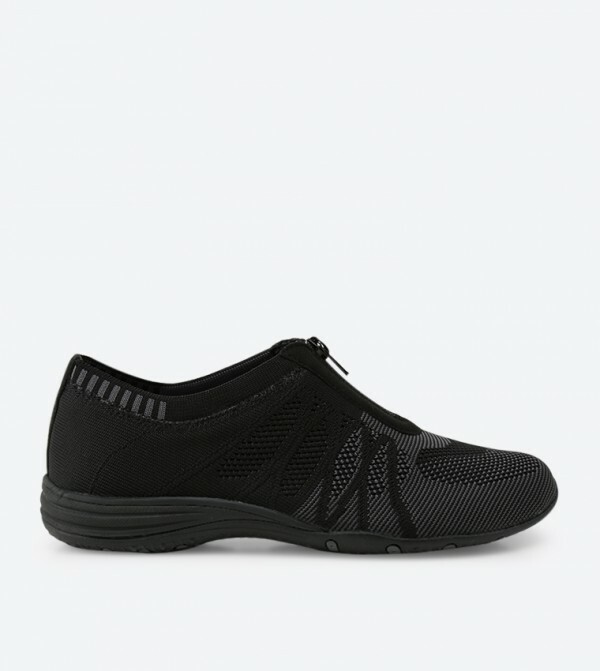 Skechers 23064 Unity Transcend women's slip on shoe offers sporty casual comfort in a style that features a soft knit mesh fabric and textile upper with overlays, stitching detail and open weave panels for added cooling. It also has an Air Cooled Memory Foam insole for added comfort, front zip for easy on and off and flexible traction outsole. Ideal for everyday casual wear.